Last Sunday was a momentous day for the adventurers of our Guild of Heroes. Players from 10 to 15 join us regularly for our ongoing campaign of the Dungeons & Dragons tabletop roleplaying game. On the 17th, over the course of an entire day, twenty four heroes repelled an invasion of subterranean snake people known as the Yuan-ti. Their adventures were run by DMs Ben, Joe, and Yoni, with full reports below. Our next sessions are fully booked at the moment, but you can signup for our waitlists on Eventbrite. We have listings for Saturday, April 14th and Sunday, April 15th. Signups for the next session will open up Saturday, April 14th at 4:00 PM. A scout arrived at Fort Stonespur and delivered the dread news: attack! The Yuan-ti, a mysterious race of shape-changing snake people had invaded the island in a sudden surprise attack and were amassing a force to siege the Guild’s fortress. One group decided to remain behind and defend Stonespur while a second party ventured forth to retake key points around the island, aided by the corpulent dwarf recruiter Ander Kingsley. First the party had to choose between clearing the Yuan-ti forces from the Sapwoods, a grove of trees whose magical sap was a major resource on Niln, or retaking the monastery of the stone monks in the mountains above Ft. Stonespur. The party decided on the Sapwoods, as the monks were likely better able to fend for themselves. They quickly came across an ambush party of Purebloods (Yuan-ti shock troopers). Reed and Klefistis charged into the fray, but were quickly overwhelmed; thankfully Travak was able to keep them on their feet.Orryn discovered a civilian hostage and made a brave, but ultimately futile leap to try and rescue them. After an intense melee, the Yuan-ti were subdued and the sappers rescued. Without rest, the party faced the next crisis. Yuan-ti had been spotted in the seaside town of Gullsperch and the mountain hamlet of Braxton’s Village. The party decided to aid Braxton’s Village, which was closer to Stonespur. The party arrived to find the village burning and its children kidnapped. The party decided to pursue the Yuan-ti who had kidnapped the children. They came upon them on a steep mountain path, but the situation grew more fraught as Ander told them cries for help had come from Thaldoon, the largest city on the archipelago, and Ft. Kraos, the Imperial garrison. The party could come to the aid of one of these more powerful factions, but it would mean abandoning the children of Braxton’s village to slavery. The party decided to remain. Klefistis and Dennis charged bravely down the hill, keeping to their feet while many of their compatriots slipped and stumbled. Their fight now was against a Yuan-ti Malison and her four massive snake pets. Working together, the party picked off the snakes one by one until only the Yuan-ti remained. Dennis lassoed her with his grappling hook and despite her attempted escape by transforming into a snake, the party slew her and rescued her captives. When they returned to the Braxton’s Village, most of the buildings had collapsed, but the survivors were overjoyed to be reunited with their children. The party offered them refuge at Fort Stonespur, which the villagers gladly accepted. Upon returning to the fort, the party was greeted with messengers from Kularkuthan, secret queen of Thaldoon, and Ser Bluto Vel Alrich, commandant of Ft. Kraos. The Guild, they said, had made their allegiances clear. As far as the Empire and Thaldoon is concerned, they are no longer welcome on Niln. The party retired to the fort. They were proud of their accomplishments, but wary of consequences from the morning’s events. And, of course, the threat of the Yuan-ti remained, but that would be for some other brave party to face. A messenger arrived at Fort Stonespur with news of an attack against the town of Kreznt. It had been raided by snake creatures and a large caravan of refugees were on their way to Fort Stonespur, pursued by the same force. Gantfi, Pearl, Tooth, Parzival, Ollie, and Arsin rode out to meet the caravan and drive off the attackers. When they arrived, the heroes found themselves face-to-face with a group of Yuan-ti attempting to capture the fleeing refugees. After a pitched battle, they defeated the raiders only to discover an even greater threat to the Isles of Niln. Documents found on the attackers were translated with the help of a book at Ollie had found on a previous adventure, and proved to be a plan of attack on Fort Stonespur itself. The heroes rushed back to Fort Stonespur, but with most of the Guild deployed to other parts of the island to counter other invasions, they were only left with a few refugees and the Guild's magical researcher, Argenta, to help them defend the fort. While Parzival, Gantfi, and Pearl prepared defenses near the main gate the others kept watch, stopping a Yuan-ti infiltrator who Arsin spotted trying to sabotage the main gate. Finally, when Tooth spotted figures moving toward the main gates of Fort Stonespur, the alarm was sounded and a battle began. Massive snakes slithered up onto the battlements to allow Yuan-ti Malisons and snakes to attack, but the heroes countered with vats of burning oil and cleverly-placed illusions. After a long battle, the heroes were victorious and the remaining Yuan-ti fled from the fort. The heroes were tasked with finding the place (or places) where the Yuan-Ti were emerging onto the island. One group journeyed to Gullsperch, the first settlement to be attacked during the invasion, while the other investigated the Sapwood, an area where Yuan-Ti had been seen traveling in large numbers. 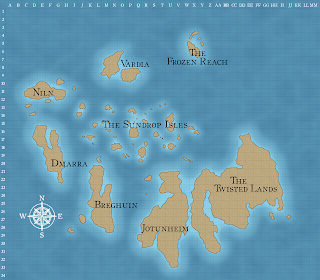 Zara, Theirastra, Ancalagon, Zealous, Rowan, and Sora arrived at Gullsperch to find the town in shambles. Earlier, the Guild had chosen not to come to the town’s aid, and the town had suffered for it. Hearing cries from a burning building, the group lept into action. Zara transformed into a squirrel and found an open window. Sora, Theirastra, and Zealous followed with a grappling hook. The halls were choked with flame and smoke, which proved too much for Zealous, who had to retreat. Ancalagon melted the front door with his acid breath and worked to put out the burning support pillars. The group above had found the trapped townsperson, a woman named Mary cradling her newborn baby, but as Sora entered the room, the floor collapsed--Ancalagon had not extinguished the right pillar. Theirastra leapt across the gap and lowered the woman to Sora, now on the floor below, before all beat a hasty retreat. Meanwhile, Rowan approached the village elders and questioned them about the Yuan-ti attack. Although they were reticent to help, given the Guild’s history with the town, Rowan’s smooth words and the rest of the group’s actions in the burning house convinced them to trust the party. They pointed Rowan in the direction of a priest named Brother Mathias, who in turn pointed them to the burned out center of town, where the Yuan-ti first appeared. There they found the town reservoir, drained through a massive well at its base. Before they could investigate further, they were ambushed by two Yuan-ti scouts. One escaped down the tunnel, presumably to warn the denizens below. Dongin, Draw, Eldan, Euoyi, Sauron, and Silas traveled to the Sapwood. Finding the Sappers’ work site and camp abandoned, they journeyed farther into the wood. There they ran afoul of a forest sprite named Hunter, who conflated the heroes with the Yuan-ti and tried to scare them away by taking the form of a giant wolf! Standing their ground and calling Hunter’s bluff, the heroes eventually managed to calm the sprite and persuade him that they were the good guys. Hunter reluctantly led them closer to the danger, to a clearing where he believed the Yuan-Ti were emerging. While they were inspecting the clearing, a group of stone warriors -- human cultists caked in cracked clay in deference to the basilisks they worship -- approached. The heroes hid and watched as the warriors surrounded a stone circle in the ground and began chanting. Positive that this could only mean ill, the heroes attacked! They dispatched several cultists, but did not manage to finish them off before the ritual was complete. The stone circle descended in sections to form a spiral stairway down below the earth. The sounds of slithering and sibilant voices echoed up towards them as our heroes decided they had accomplished their scouting mission, and fled the Sapwood. Having found both entrances to the underground Yuan-ti lair, the heroes’ next task was to find a way to destroy the tunnels. Some of them went to the island of Dmarra to find the Firesworn barbarians and their fabled explosive devices, while others went to Ft. Kraos to ask the fire giants to lend their mighty strength. Zara, Silas, Eldan, Ancalagon, Zealous, and Euoyi journeyed to Ft. Kraos to solicit the aid of the fire giants. The party reached Portown, the easternmost point on Niln, and attempted to charter passage to the garrison. Still reeling from the Yuan-ti invasion, most of the captains were unwilling to help and those who were asked exorbitant fees. Ultimately the group decided to steal a boat, though Zara steadfastly refused and remained behind, where she did her best treating the injured, particularly the Imperial soldiers who had defended the town. The rest of the group reached Ft. Kraos, where they were greeted stonily. Earlier, when the garrison had called for aid against the Yuan-ti, the Guild had not come, and Empire subsequently denounced them. The party worked hard to win back their favor. Silas warmed up Ser Bluto, whom he had previously befriended. One of the giants was suffering from poisoned wounds. Ancalagon stabilized him while Zealous donated some of his draconic poison breath to aid in researching a cure. Eldan went to those who were hurt too badly to recover and put them in a magic sleep to ease their passing. Then, on Bluto’s request, the group went to repel the Yuan-ti still fighting in the tunnels below the fort. The group fell in a Yuan-ti trap and were unable to slay the snake people without the aid of imperial soldiers. Ultimately, though the party had acted compassionately and courageously, with one giant wounded, another AWOL, and Ser Bluto overseeing the fort’s reinforcement, they were unsuccessful in recruiting a giant to help destroy the main tunnels. 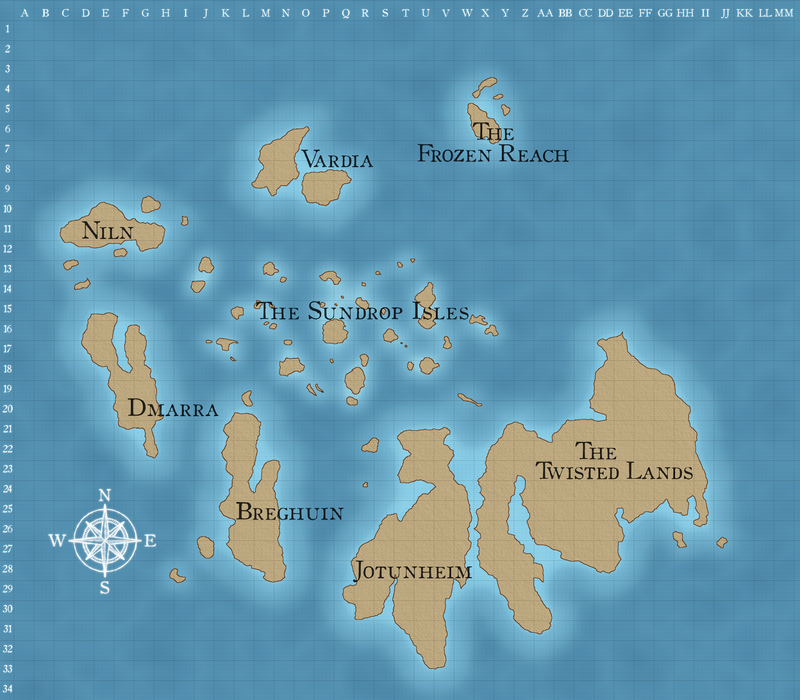 Dongin, Draw, Rowan, Sauron, Sora, and Theirastra headed south to the island of Dmarra. There they were met by Gubrash, a half-orc barbarian and a friend of the Guild, who had already received word of the Yuan-Ti invasion. The heroes asked if he could help convince the Firesworn to provide some of their fabled explosive devices. Gubrash explained that, inter-tribe politics being what they are, he held little sway over the whims of the Firesworn. The heroes would have to journey to their village and impress the other tribe themselves. Following Gubrash’s instructions, they began to ascend the nearby mountain, and noticed that the air grew warmer as they rose, not colder. The village, as it turned out, was embedded in the side of an active volcano! A section of rock magically melted into lava and receded, creating a doorway into a large cavern dominated by a lake of boiling lava. The Firesworn put the party to a simple test of their worth: defeat the red dragon wyrmling that swooped down to attack them! Three of the heroes were knocked out right away by the dragon’s fire breath attack, but the others rallied and hit back with a series of formidable blows. Impressed, their foe revived their fallen comrades and gave them an ultimatum: defeat the dragon with only one more attack each, and they could have the prize they sought. Working together, the heroes defeated the dragon with no time to spare, and were gifted three volcanic bombs: explosives encased in igneous rock that would each create a massive explosion at even the merest touch of flame. To create a diversion, Ancalagon, Draw, Euoyi, Sauron, Silas, and Zealous mounted an all-out attack outside the stone circle in the Sapwood. They fought wave after wave of the Yuan-ti’s lackeys, until finally several Yuan-ti mailsons emerged from the tunnel. These creatures were part-snake, part-humanoid, and were able to take the form of a giant snake at will. It was clear the heroes were poorly matched against these scaly foes, but they bravely held their ground and continued fighting to give the other group the time they would need. While the others drew the main force of Yuan-ti out of the tunnels, Zara, Rowan, Thierastra, Dongin, Sora, and Eldan journeyed back to Gullsperch with three Dmarran bombs. As they approached the reservoir, they heard the sound of sentries inside, but failed in their attempt to enter by stealth, and the guards escaped to alert their forces below. The party then attempted to descend the drained well--three hundred feet of slick rock. Sora devised a clever system of alternating ropes and pitons, but before they could reach the bottom, Dongin slipped. Luckily, water filled the bottom of the well and cushioned the fall. The underground lake at the base of the well led the party through a series of winding tunnels and eventually to a snake-engraved door. Inside, the party came across a sentry camp. Thierastra hurled one bomb into the camp’s fire, caving in the tunnel and apparently burying the assembled Yuan-ti. As they crossed through the rubble, they were suddenly attacked by a massive snake. It chased them through the passages until the group found themselves above a massive subterranean city--the Yuan-ti’s home. The group decided to detonate another bomb there, causing damage and disarray amongst the army mustering below. In the passage beyond, they found themselves at a fork in the road. Here their passage met the one leading to the Sapwood and another leading to the city below. Zara, Thierastra, Donin, and Eldan turned and made a final stand against the giant snake, while Sora and Rowan looked for a way to prime the bomb. Soon they realized someone would have to carry the bomb down the tunnel to ensure its detonation. Rowan volunteered, and as the others fled up to the Sapwood, he carried the bomb down toward the Yuan-ti city. A few seconds passed and then the tunnels were rocked by a tremendous explosion. The party grieved for the fallen, but also celebrated. The Yuan-ti had been routed, the threat had passed, and the Guild was victorious...for now.